Bamboo Capital Partners is a commercial private equity firm that specializes in investing in business models that benefit low income communities in emerging markets. BCP launched in 2007, as Bamboo Finance, with the goal of demonstrating that private capital can be profitably deployed as a tool for effective social change. BCP has nearly 300M USD in assets under management across three global funds operating in 30 emerging market countries. This portfolio of investments has delivered an overall IRR of 21.9% to investors, while providing 29 million clients with access to services and creating more than 26,000 jobs. The Global Impact Investing Rating System has ranked Bamboo Capital Partners in the top quintile of Impact Fund Managers in 2013, 2014, 2015, and 2017. Greenlight Planet is a for-profit social enterprise providing life-changing technology solutions to households in emerging markets. 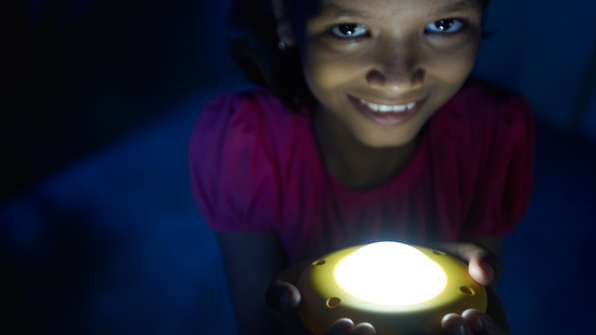 Greenlight Planet develops and manufactures cost-effective solar products designed to help people living off-grid, where harmful kerosene lamps are far too common. The company employs a robust sales force model to reach remote village areas, and has brought its solution to nearly 25 million users in 54 countries. BCP invested in Greenlight Planet through its Oasis Fund, which invests in commercially viable companies that deliver essential goods and services to low income communities. The Oasis Fund´s sectors of focus are housing, healthcare, education, energy, and employment. BCP first invested in February 2012, in the amount of 2M USD. Since then, Greenlight Planet has created 273 jobs, has sold 7 million products and has grown revenues by more than 24 times –making it a global leader in the off-grid solar market. Investments in companies like Greenlight Planet are central to BCP´s social impact. Energy is the basis for development, and companies like Greenlight Planet make modern energy needs affordable and accessible. Indicators of social impact include the amount of units sold, reduced CO2 emissions, reduced burning incidents, in addition to users´ cost savings and income generation. As a result of this investment, 25% of end-users claim an increase to their household income, 10,000 deadly house fires have been prevented, and there are 9M tons less CO2emissions per year.